110%! The sizing and fit are perfect, and it makes an excellent compliment to an O'Keefe print we picked up at her museum in Santa Fe. Also, the suspension packing technique was the best I've ever seen. Thanks! You'll hear from us again. I recommend this frame for paintings that aren't too busy and have muted colors because the lines in the frame add to the visual and you don't want it to detract too much from the art work. It was a good experience dealing with this company. 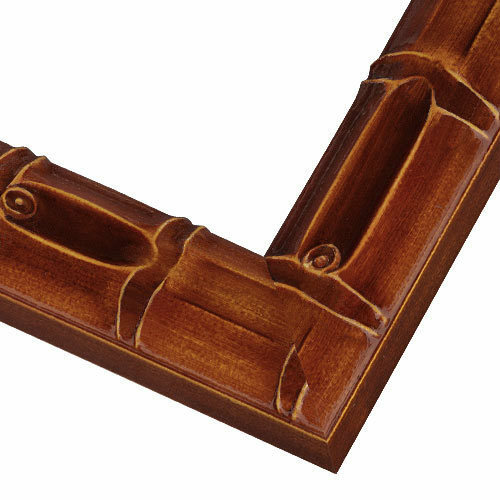 Extremely well-made frames with complete mounting and hanging parts. Love the look! I have ordered many times from your company and every time I am thrilled with the quality. I Love the frames. 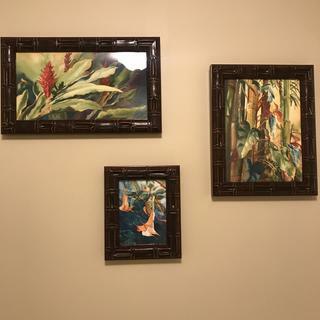 They look amazing on the wall and are perfect with the artwork in them. The only thing I wish is that the uv plexiglass had anti glare. Other than that, its perfect. I had gotten a painting done by an elephant at the VA Zoo. This is the perfect frame to show it off. Easy to install the canvas. The resulting frame exactly matched my specifications. I was surprised that the frame came with the necessary hanging hardware. I thought this was an additional charge. Hello Virginia. Thank you for speaking with Gabriela today and allowing us to make this right with you. We hope to continue to provide you with our World Class Customer Service! Happy Framing! I was looking for just the right frame for a dragon print that I got at an art fair and I think this will work perfectly! I already have this frame and love it. It goes great with Florida watercolor art. I would highly recommend this to anyone! This frame will look great on an artwork piece I am working on. It is unique, and very awesome, and will match up wonderfully well! frame selections, design and quality. To match the style and coloring in my painting of a shrine in Japan. Love the color, the texture and the bamboo design is a perfect compliment to the Audubon pelican print I am framing. Thank you! BEST ANSWER: Sharon the retainer clips are pressure mounted, therefore, the space behind your artwork must be minimal. Typically, customers use extra cardboard as a space filler. This will make the retainer clips secure in the groove and bend over to touch the artwork. It appears the groove in the back of my frame is wider in some areas so will not hold. Seems to be okay as I was able to get 3 of them in securely. Will send finished pic on wall. It is just perfect. Thank You for all your guidance. Sharon I am so pleased to hear that it worked out for you. Typically the groove in the frame is even all the way around. 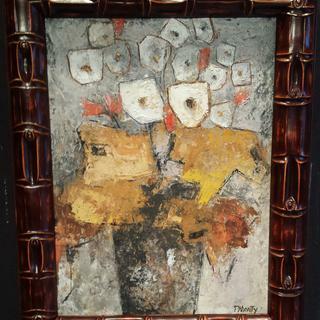 Please send us your framed artwork displayed on the wall. Thanks so much!